Today we launch a new series on the Let’s Talk About It Blog called Taking A Stand. The LTAI Peer Advocates are committed to Taking A Stand this year, each in their own unique way—and we want to invite you to take part! For LTAI Peer Advocates it means speaking out, advocating for something you feel strongly about such as ending stigma against people living with HIV, receiving better medical coverage, increasing awareness—whatever issue moves you to action. As advocates, it is on our feet that we Take a Stand and speak out! So, we want to know what will you Take a Stand for? 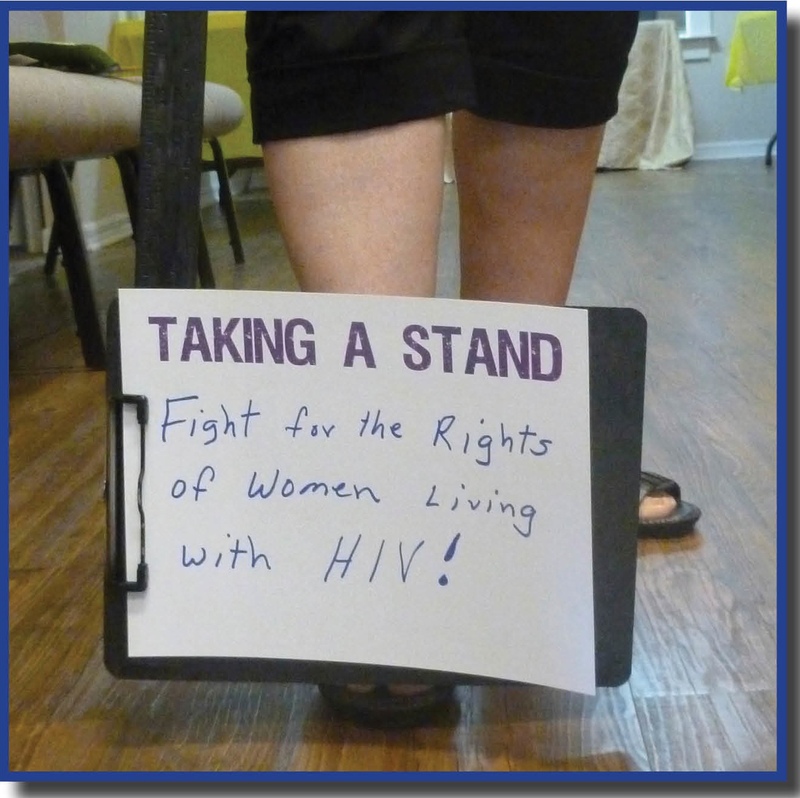 Taking A Stand: Fight for the rights of women living with HIV! Speak up for one and we stand up for all. Women need to use our voices…more!